This is a payment method for collecting credit card information for manual offline processing of an order. 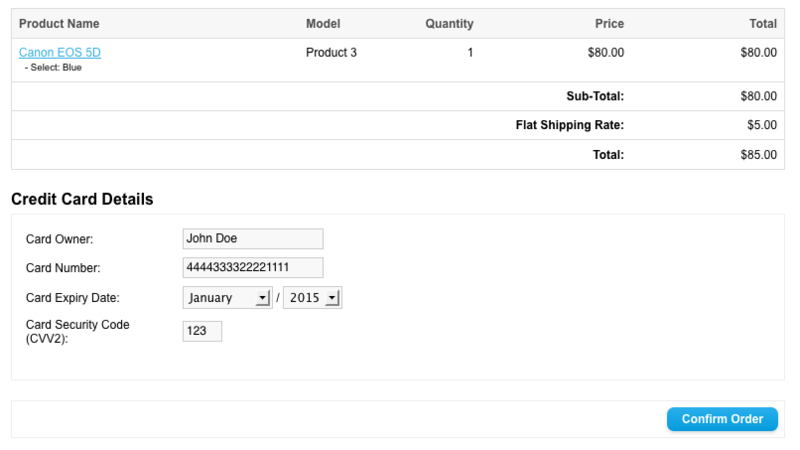 Presents a standard credit card form at checkout and validates card numbers using the standard Luhn algorithm. If a valid card is entered the order is successful, credit card details are encrypted and sent to admin along with order notification email. 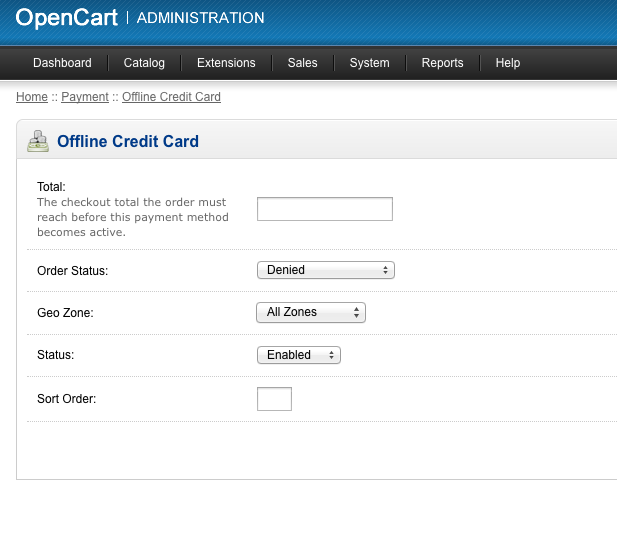 The admin can then log in to the OpenCart admin panel and use the supplied decryption tool to view the card details. 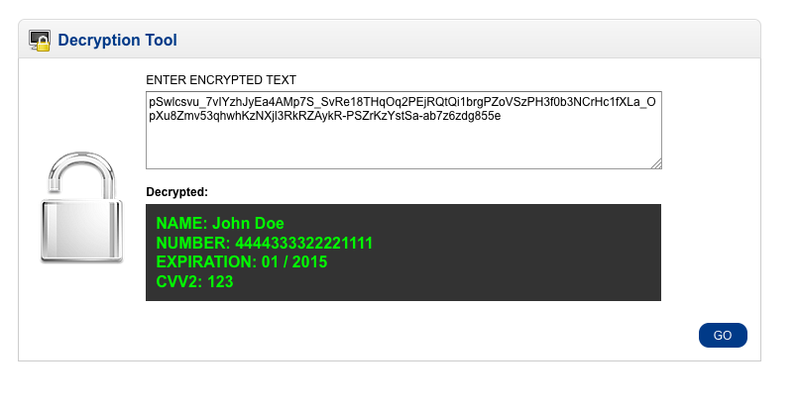 No credit card information is stored in your database with this method.